Click here to view current Physician Assistants opportunities. Physician Assistants at the University of Michigan Health System serve as integral members of a multidisciplinary team, providing advanced diagnostic and therapeutic interventions for patients across the continuum of care and acuity. 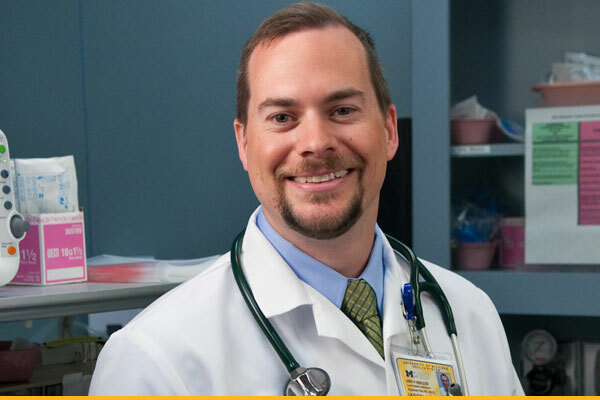 Mirroring the diversity of our patient population, Physician Assistants at UMHS currently practice in services spanning medical and surgical specialties and subspecialties across our prestigious academic medical center. From the operating room and interventional procedure units, to inpatient and outpatient roles, opportunities to embody The Michigan Difference as a Physician Assistant are everywhere you look at UMHS. In return, we’re proud to have created an empowering, inclusive atmosphere where Physician Assistants find constant challenge and reward, and exceptional resources for personal and professional development and endless opportunities to make a real difference in peoples’ lives.